Dubai, UAE, March 24, 2019: INFINITI, the premium automaker of Renault-Nissan-Mitsubishi, has announced the launch of the 2019 edition of its renowned INFINITI Engineering Academy. 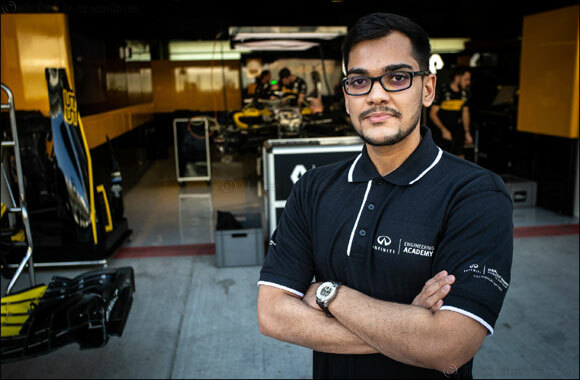 This will be its sixth consecutive year of INFINITI’s global search for the best young engineers in the world to work with INFINITI and Renault F1® Team on a unique 12-month paid placement. “We want to create openings for these young engineers. Thanks to our Technical Partnership with Renault F1® Team, the Academy can provide these opportunities and, for our winners, a route into the automotive or F1 industries. As a result, interest in the program has grown exponentially; almost 30,000 people have registered since the first edition in 2014. And we believe it will keep growing in the future”, added Volpe.